Widely regarded as one of the worlds premier venues of Gypsy Swing. Dedicated to providing the music of Django Reinhardt and all of those who perform it. Hosting to some of the best Gypsy Swing musicians who authentically play it to its most original style set in the venues intimate atmosphere. Like in the 1930s Paris, Django’s innovative, and thrilling hot club music is alive, with its exciting swing and pumping rhythms. Not only does Le QuecumBar host some of the worlds best musicians of this ganre, but also hosting instrumental workshops and integrating home-grown talent. 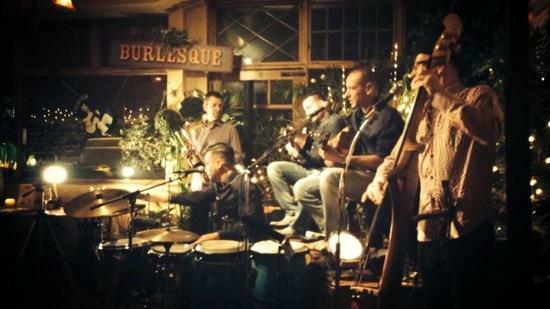 Le QuecumBar is London’s only hot club; Gypsy swing, traditional, vintage swing and cool jazz.